Spring editions plus a race calendar! Ironically I know I’ve been going on and on about how much I love the sun, but this week I started getting up earlier and training earlier in the mornings and later in the afternoons to avoid the hottest part of the day. I was loving the warm Spring days, but now that the mercury is sitting on 30C most days I’m feeling like a turkey in an oven roasting away! My body clearly isn’t use to heat and at times I feel like I’m running around like aqua man, I’m that hot and sweaty (too much info?). Hydration has become pretty important and so I’m like a baby with a bottle constantly carrying one around after each hot session. As it gets warmer these guys seem to spend a lot more time hanging around in our yard. Yesterday the Skike Australia Victorian Ski Chase grand prize and the two cash prizes for 25 and under were drawn at the Ski Cross Country Victoria committee meeting, under the supervision of the committee. The winner of the v07 PLUS Skikes generously provided by Skike Australia was Diane Bloom. The winners of the 25 and under cash prizes of $500 each, were Hayley Adams and Jethro Mahon. Congratulations to all our winners, and many thanks to our Sponsor Skike Australia, and the anonymous donors who provided the cash prizes. If you’d like to see the prize Diane won, go to http://www.skike.com.au. If you are interested in having a go yourself, contact Len Budge at len@skike.com.au. There are a number of Skikers around the country who meet regularly for fun on Skikes, on and off trails, on flats or hills, on almost any surface (grass, gravel, packed earth, concrete or bitumen). Why not ask Len if there’s a group in your area. We hope you all have a great summer, and remember to stay fit for next year’s Victorian Ski Chase. Kevin Tory and Andrew Walker. Spring has been glorious at home, sunny, warm and ideal for training. I’m waiting to get my visa for the US. I feel like a kid waiting for Christmas, wanting to open that present they know is sitting under the tree, but being held back by their parents. I know an announcement is coming but I just can’t wait. There is still the off chance that my stocking will be filled with coal and I’ll be rejected by the US immigration, but I’m hoping it will be fine. The up side of me bouncing up and down, waiting for my visa like a kid that’s eaten too many candy canes, is that I’ve plenty of time to enjoy the Aussie spring! Momentum is hard to gather for heavier objects but luckily I am a light weight! Maybe that is why coming back has been easier than I ever expected. For the first time I feel that I have been smart about about getting back into training. Usually with injuries I fire things up too hot, too early and well and truly cook the goose! This time I have been scared, any reprocussions would be unbearable, so in a way this fear has helped keep me sensible. The AUSXC Team camp was great. Unfortunately I missed the first day due to sudden family commitments in Sydney, however luckily that coincided with meeting up with Teresa before she flew back to Sweden the next day. 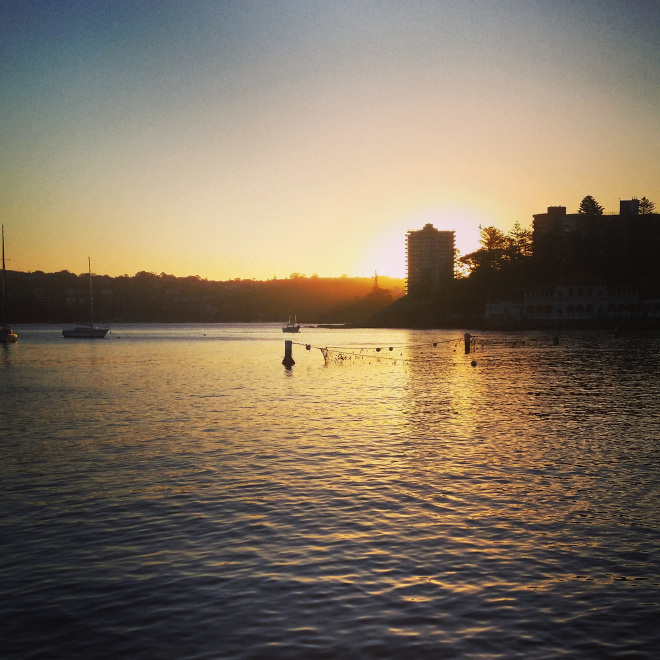 Seconds before a man in a suit fell in, Manly was offering a beautiful view to watch and relax! This week three different styles of image gallery have been used on AUSXC. Which do you prefer? 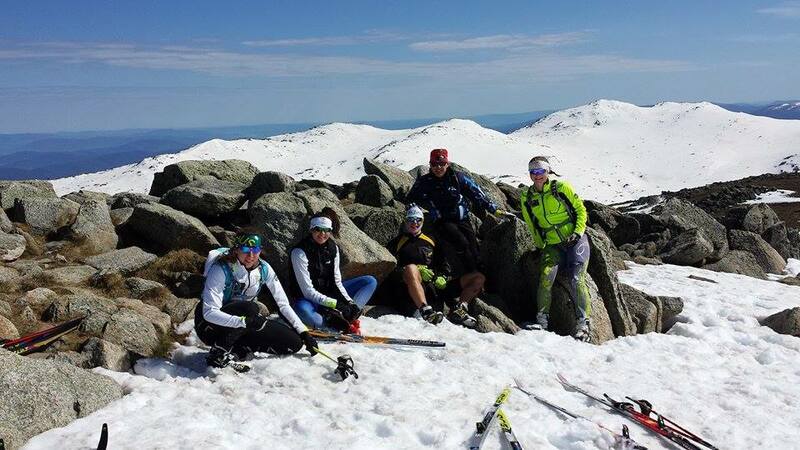 Images from the last day of the National Team Spring Camp, between Charlotte Pass and Mt Kosciuszko.